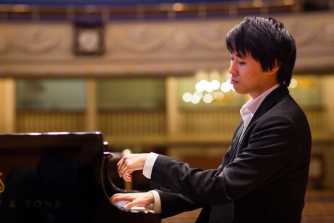 Borough New Music's Co-Guest Artistic Director, Listenpony, presents a programme of recent commissions for solo piano, alongside works by established contemporary composers, all performed by George Fu. The programme mixes work by two American composers, Matthew Aucoin and Elliott Carter, with British composers such as Oliver Knussen. The Chinese-American musician George Fu is building a reputation as a virtuoso pianist who frequently collaborates with composers in premiering new works.